This extremely popular electric smoker brings the ease of smoking to every home. This may be the easiest way to prepare smoked fish. No cooking skills required! BUY NOW, SHIPPING ONLY 5€ IN ALL EU-COUNTRIES! 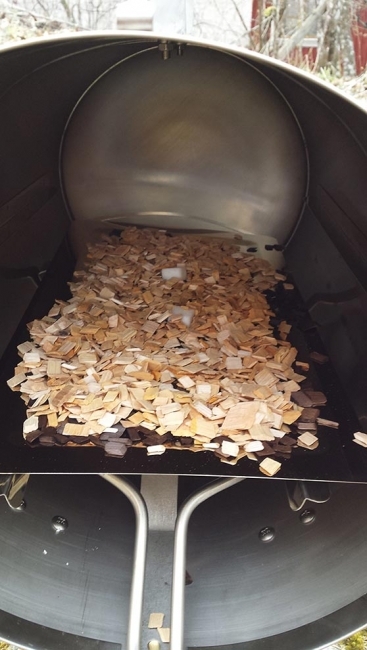 - EASY: Plug it in, put the wood chips into the smoker, get your food onto the grill grid, pop the grid in and get smoking! You'll be ready in 30 minutes! - You won't be able to tell the difference between electric smoked and traditionally smoked food. - CE APPROVED AND TESTED With PLUG C for European market included! You can prepare food extremely easily and the cleanup is really a breeze! Reasons to buy an electric smoker: This sort of pipe-shaped electric smoker is made of stainless steel and it stands sturdily on steel legs. There's 1100 W of power at your disposal so that you can smoke anything you like, be it fish, meat or vegetables. Try something new! But, can you really replace a traditional smoker with an electric one? Sure you can! Both our experiences and our customers' experiences have shown that even the most dedicated connoisseurs of smoked food couldn't tell the difference between electrically cooked food and traditionally smoked dishes. Of course it's even easier to succeed with an electric smoker than it is through traditional means. Why is this so affordable? 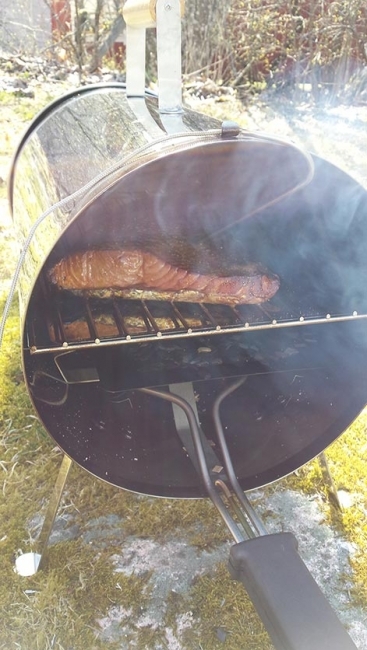 Well, there certainly are more expensive electric smokers on the market, but, honestly... this smoker makes food just as delicious and well smoked as any of those more expensive models. Smoke Anything - All Year Round! Your smoking season has now been turned into every season as you can easily smoke with this electric smoker even in the middle of winter. This basically means that you could be enjoying some delicious smoked ham next Christmas... Kassler or grill ribs can definitely be smoked as well - we've tried and found it excellent! Fish, of course, is at its best when smoked. And, if you can grill it, you can smoke it! Except perhaps sausages. Those still fare better in the grill, regardless of season. With all this in mind, the electric smoker makes a great fit for both your home and your summer cottage. It's also much easier to simply bring out your smoker than to lug your grill out of the warehouse when it's pouring outside. The electric smoker is very easy to use, but for safety reasons you might want to take a few things into account. The smoker can get quite hot so you should always place it away from flammable materials and prevent the smoker's wire from touching the side of the smoker. You best keep away from the sides anyway as they can get really hot! 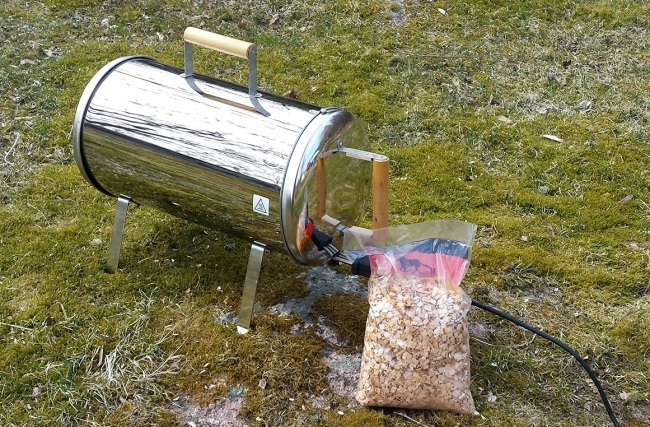 Oh and please note that the package does not automatically include wood chips for your smoker. - You can smoke more than just fish - if you can grill it, you can smoke it! - Remember to set the smoker onto a flat, steady surface before using it. - Be careful that the electric wire doesn't touch the body of the smoker as it gets very hot during smoking. Always unplug the smoker after use. Due to these smokers being in high demand, we keep our shop stocked with them year round, so don't bother waiting for the next midsummer to roll on by - this smoker is for all seasons and occasions. The right time to buy a smoker is now! The Type C electrical plug (or Europlug) is a two-wire plug that has two round pins. It fits into any socket that accepts 4.0 – 4.8 mm round contacts on 19 mm centres. Fantastiskt bra resultat blev det i den! Såå nöjd! !